As we and all loyal Apple fans already know, WWDC is only hours away from kicking off. After weeks of anticipation, we will finally witness the official announcement of iOS 5 delivered by Mr. Steve Jobs himself. So, what new features are we going to see incorporated in the platform's latest iteration? The answer to this question is still a mystery for the most part, but the tireless Apple rumor mill has long been suggesting that Twitter integration, OTA updates, and a new notification system will most likely be on the list. Just recently, a couple of photos surfaced on the web and added another dose of credibility to the iOS 5 speculations. The first one seems to be of an iPhone's home screen displaying a Twitter notification, which looks pretty similar to the messages that you get when the wireless hotspot function is active. 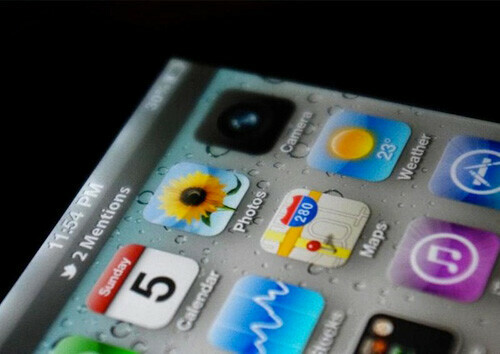 Even though we are not exactly Photoshop experts, the leaked image appears to be unaltered and this may very well be the way notifications and status updates are going to work in iOS 5. The second image that we are dealing with is a screen grab from iTunes and hints that wireless software updates may come with iOS 5 in one form or another. Apparently, somebody was digging for app updates when they came across a page in iTunes that mentioned an Automatic Download function, which does not exist in iOS at this time. 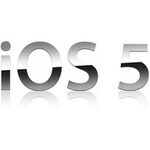 It appears that having the alleged iOS 5 function enabled will let you get software updates automatically, but some also suggest that it might be capable of updating your device's firmware as well. Even though the revealing line of text has been taken out by Apple already, others have also managed to snap a screenshot while it was still there, so it isn't very likely for the clue to be faked. All rumors will be debunked shortly after WWDC takes off so stay tuned for our coverage. The event is scheduled to begin today at 10:00 AM PDT. So you're saying that none of these are possible? By the time you switch, Android will have innovated new must-have features that will take about a year for Apple to copy again. So in the end you will always be behind the curve with Apple. True, apple has some good apps. However, most of the good ones are not free. But Android has apps that iOS would never support. Such as free mp3 downloading apps and zedge ringtones, wallpapers, notification sounds, etc. These apps would run the itunes store out of business. Plus, Android has the Amazon marketplace where you can get a paid app for free daily. A few days ago they had Plants vs. Zombies for free. Beat that Apple! In other words, Apple is busily copying Android because they can't innovate on their own. . . just like how they copied Xerox and stole many other small companies ideas & IP. . . . and claim they invented it and their faithful will push that lunacy on the web forever. So. . . same old story. in other words.. Apple is copying Android.. but yet, steve jobs is going to get on stage, and say since they have it.. they automatically invented it, and its "magical" because its on iphone. lol Google needs to find a reason to sue them to give them a taste of their own hippocritical medicine. This will be a great day of trolling for you. You realized android uses a lot of things iPhone came out with first as well right? Pinch to zoom, webkit browser, app springboard as far as layout, app/market store. These are all things Apple was using before android phones were even available. And it'll be a great day for you taco, with you being the "Protector of all things Apple". and you realize that apple copied a lot of things from every mobile manufaturer and software maker. The first app store wasn't apple, because VZW had their get it now app market/store. well be fore that i dont' know if they were first but they were way ahead of apple. Yes everyone copies from everyone. It's a connected world, but the fandroid trolls bash Apple for it even though their beloved android does the same thing. The act like google invented cell phones. Wow. I called it, Apple totally copied Android's notification system. You even drag it down from the top. OMFG, sue them Google!!! So Lucas777, does iOS 5 still not have widgets? That would be a pretty big fail in my book. "Even though we are not exactly Photoshop experts, the leaked image appears to be unaltered" The top right of the phone has a blurring effect , i'm no photoshop expert but thats an alteration to me.